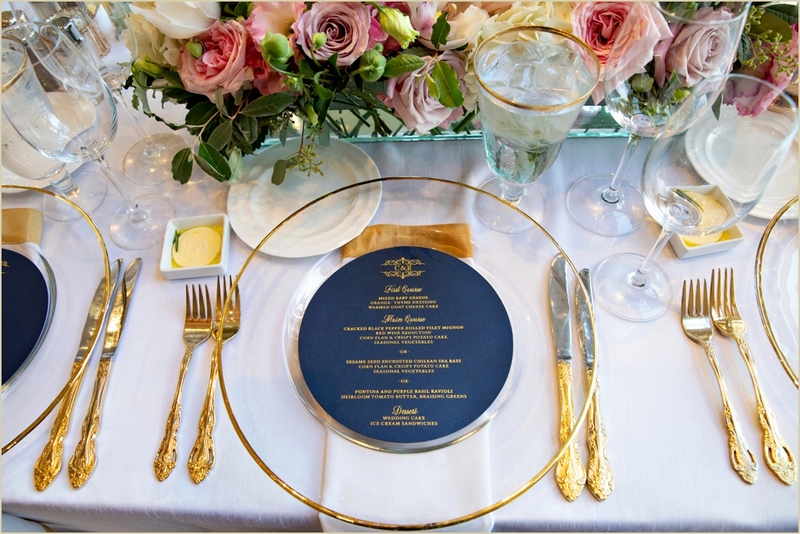 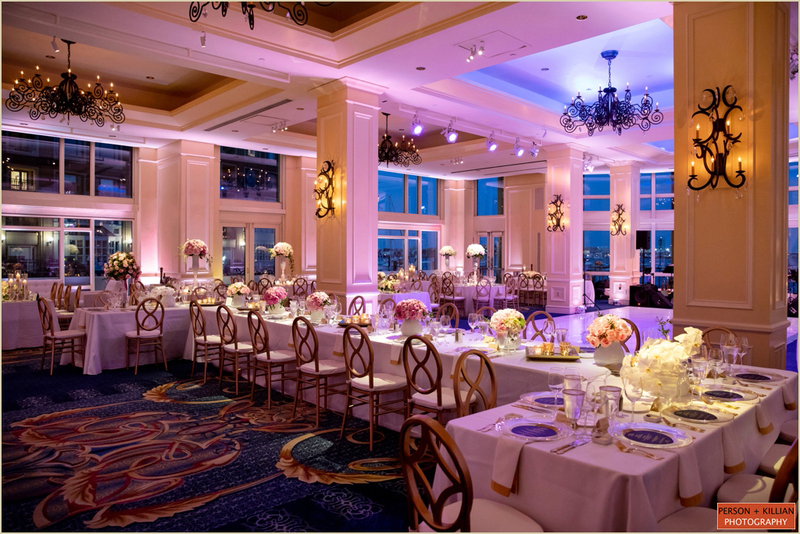 A classic blue and white wedding on the Boston seaside gets a fun twist with gold detailing and colorful pops of pink. 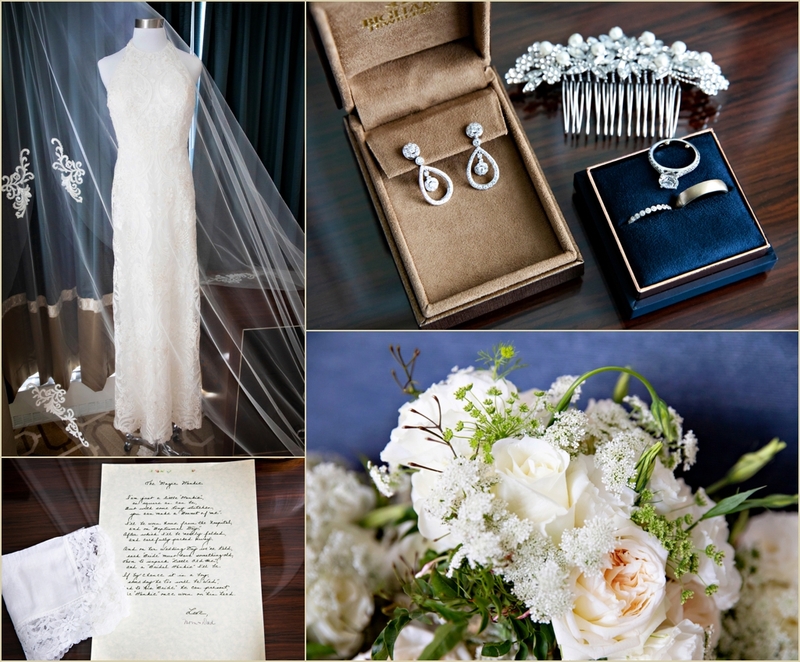 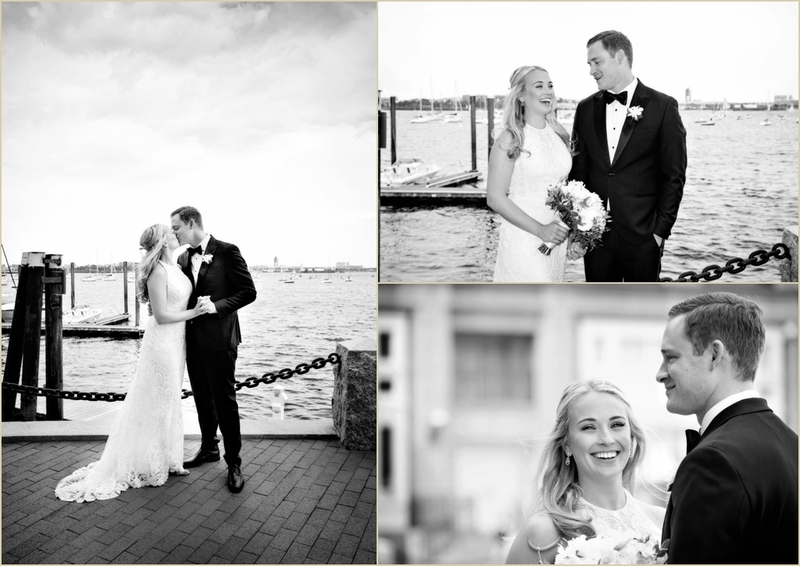 This Boston Harbor Hotel summer wedding was the perfect mix of nautical elegance and summer fun, making for a truly unique and special day of celebration. 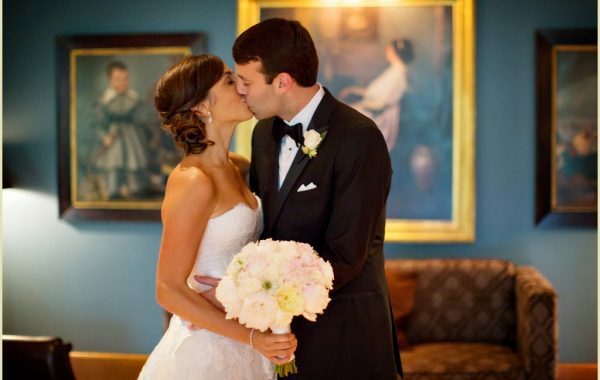 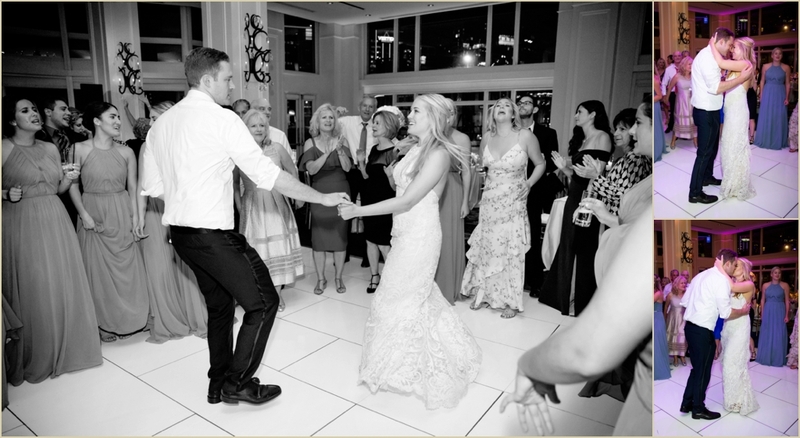 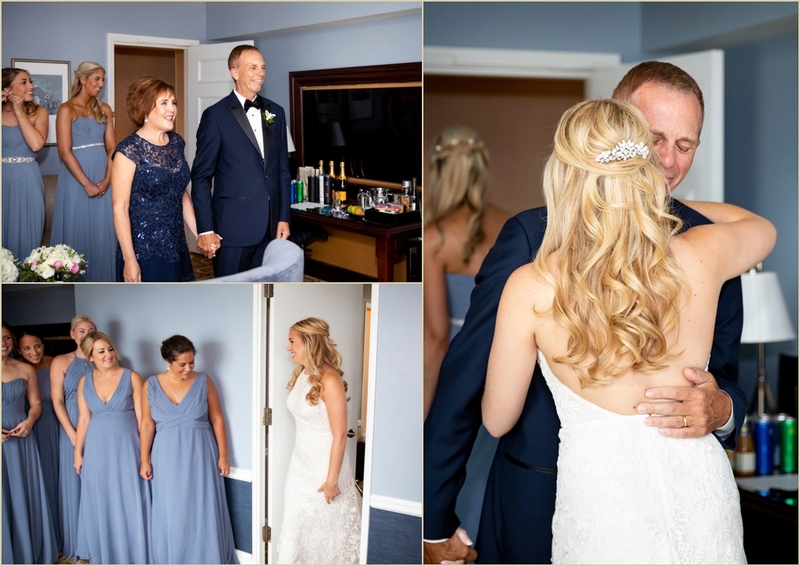 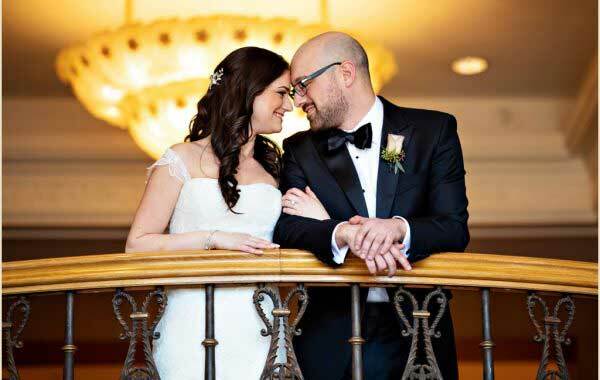 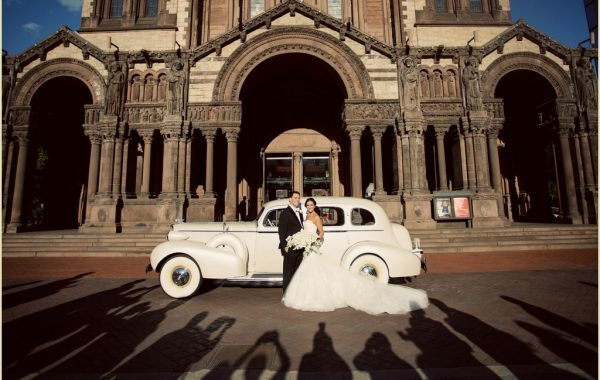 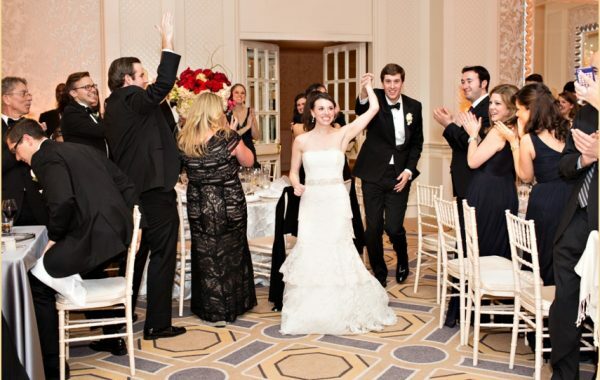 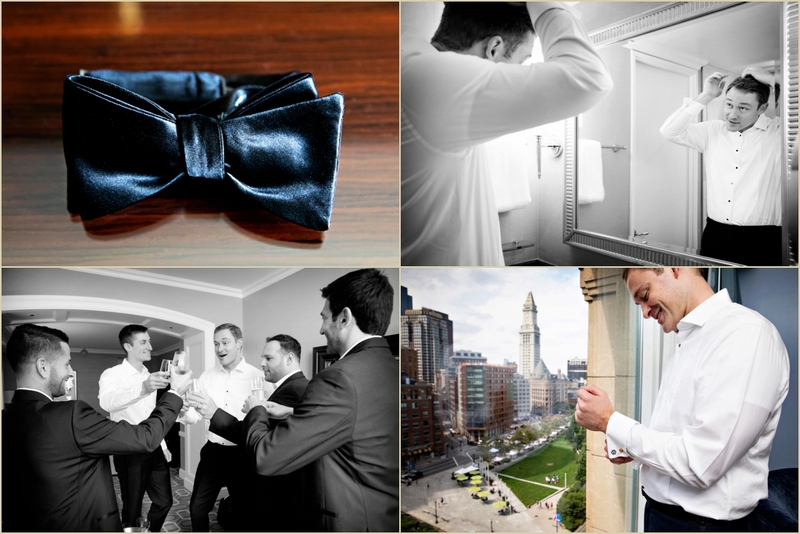 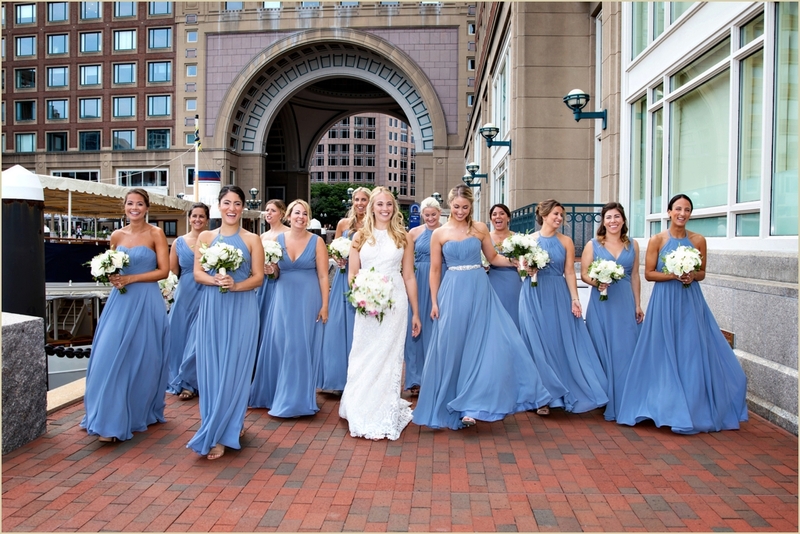 All of the day’s events took place at the Boston Harbor Hotel — starting in the Hotel’s Admiral Suite where Courtney and her bridal party got ready. 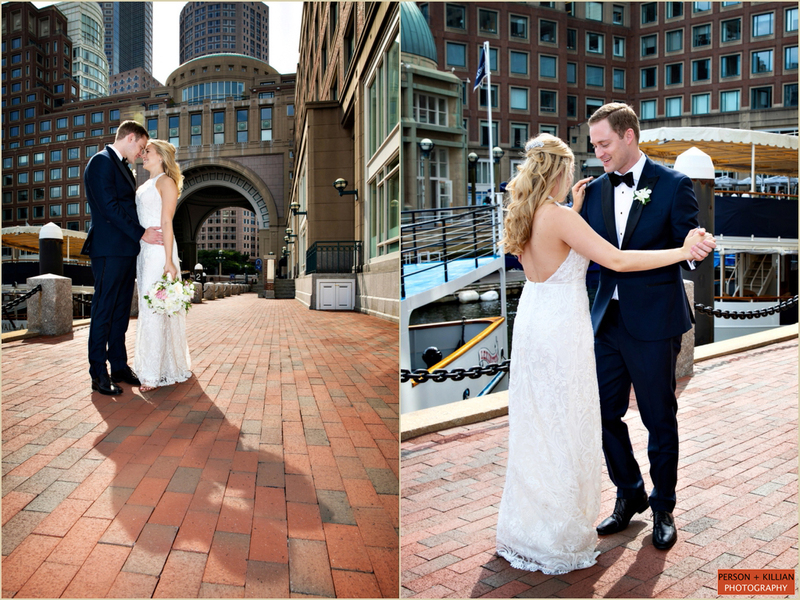 Both the bride and groom had gorgeous views of the city, the Greenway, and the Boston Harbor below while they prepared for the day. 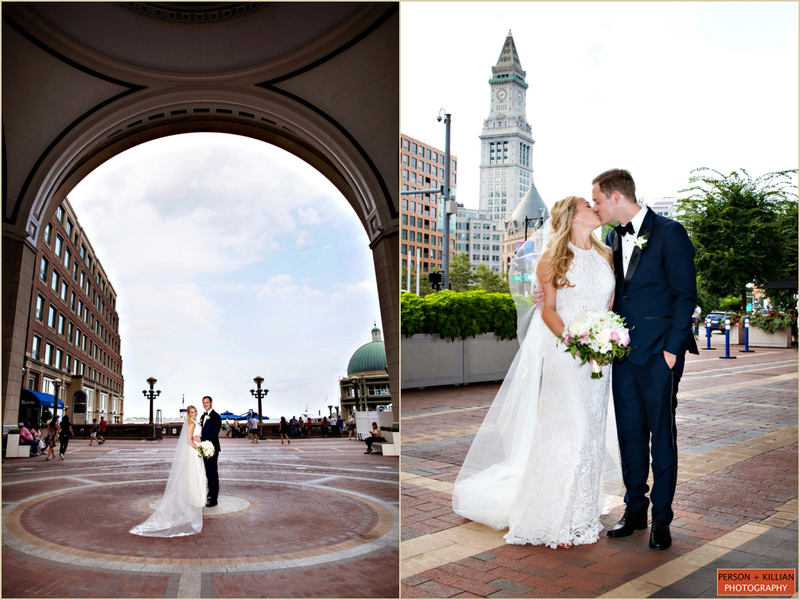 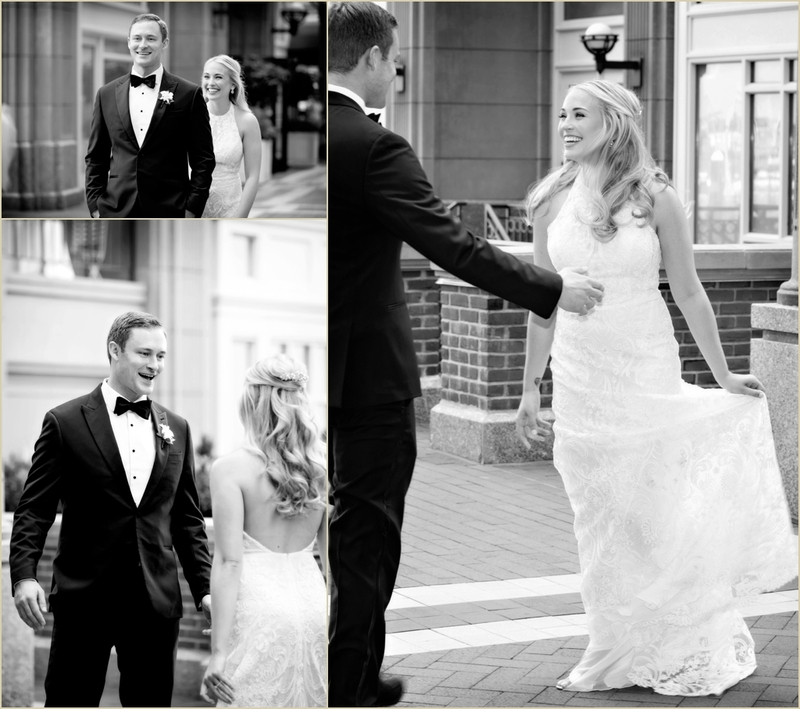 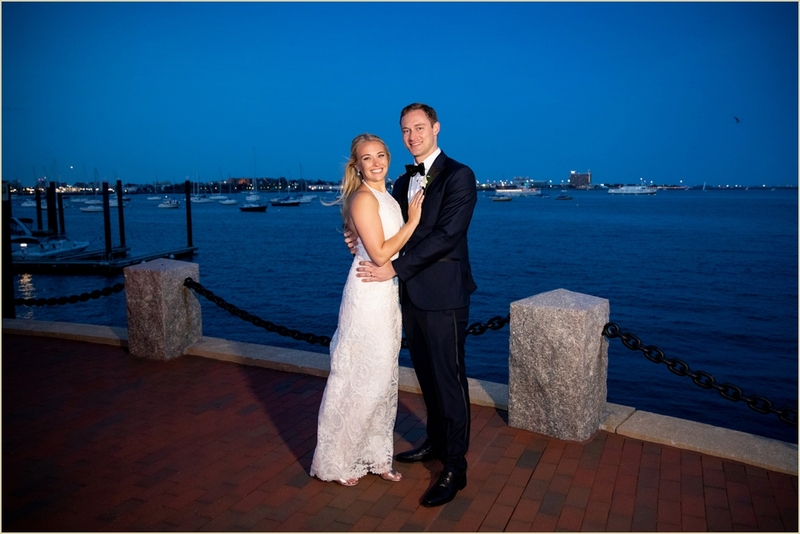 We took Courtney and Brian outside to the waterfront for their first look, and stayed out for some formal photos of the couple around the Hotel and in front of the beautiful Boston Harbor. 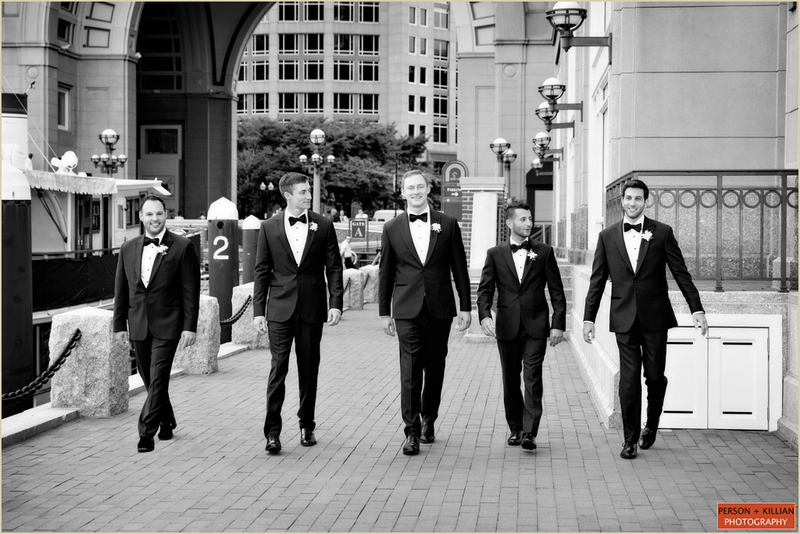 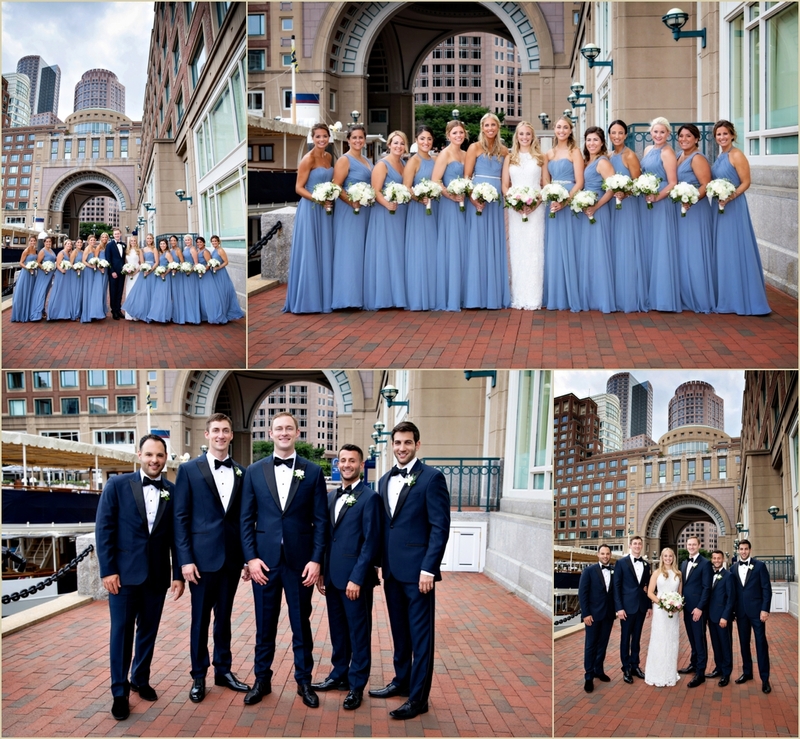 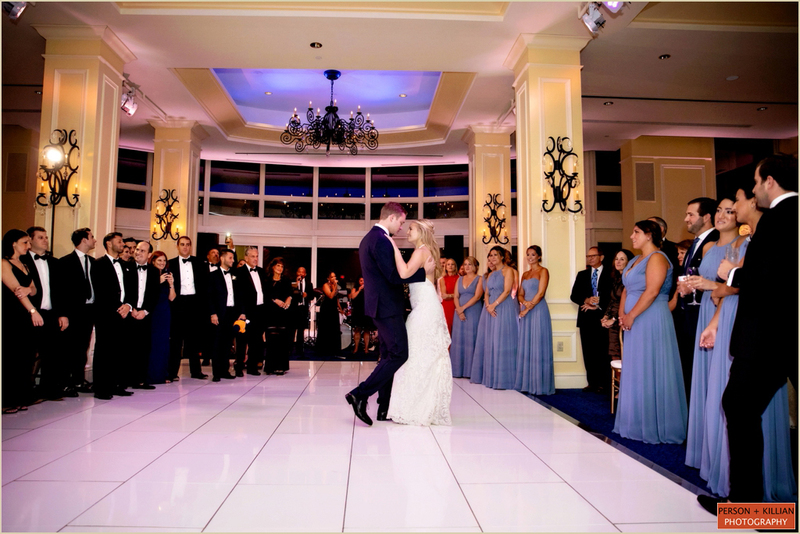 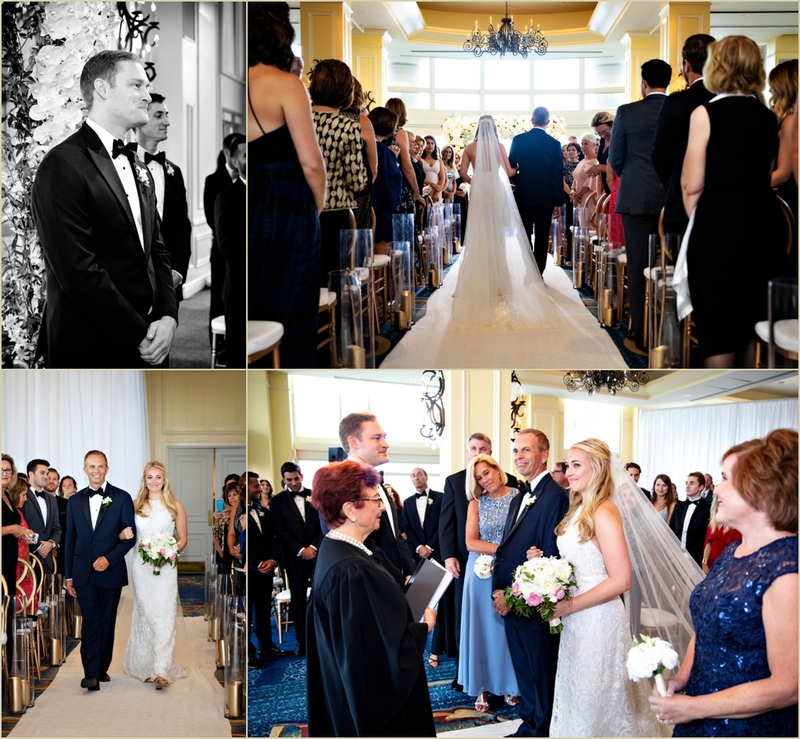 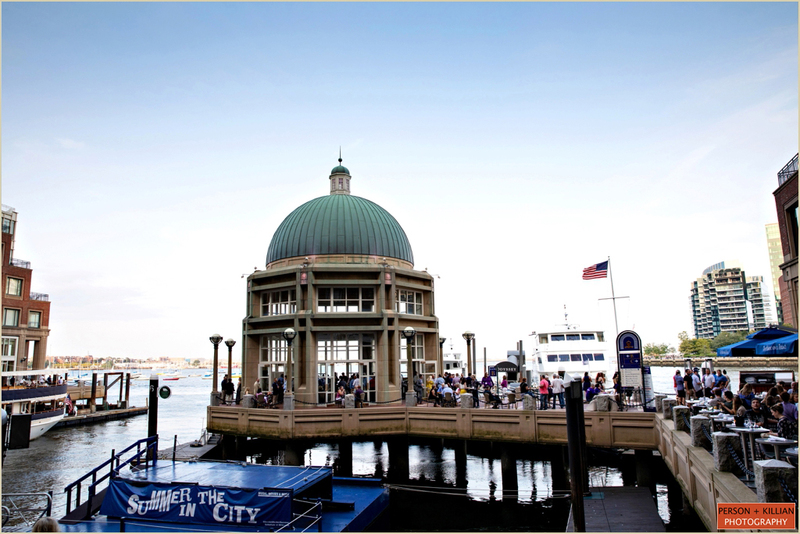 We were joined by the wedding party for group formals on the waterfront, their light blue dresses and navy blue suits matched perfectly with the seaside vibes of the Boston Harbor Hotel. 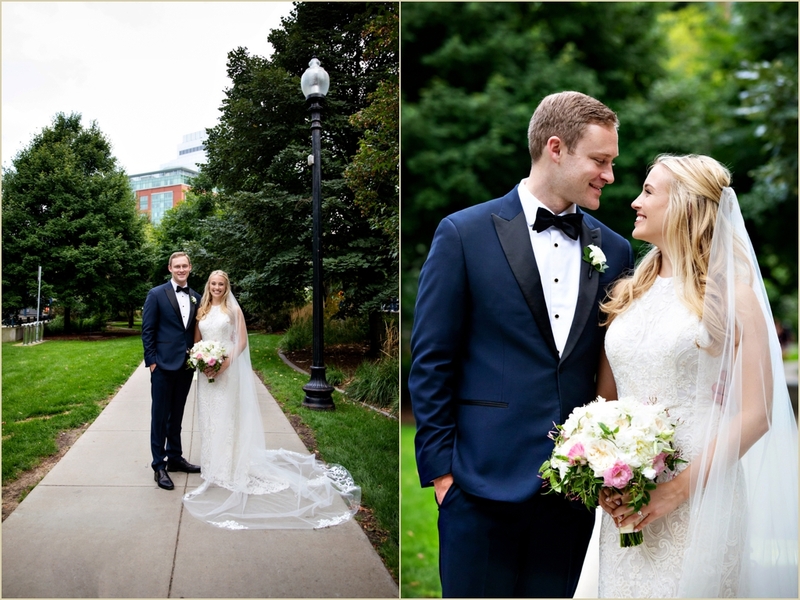 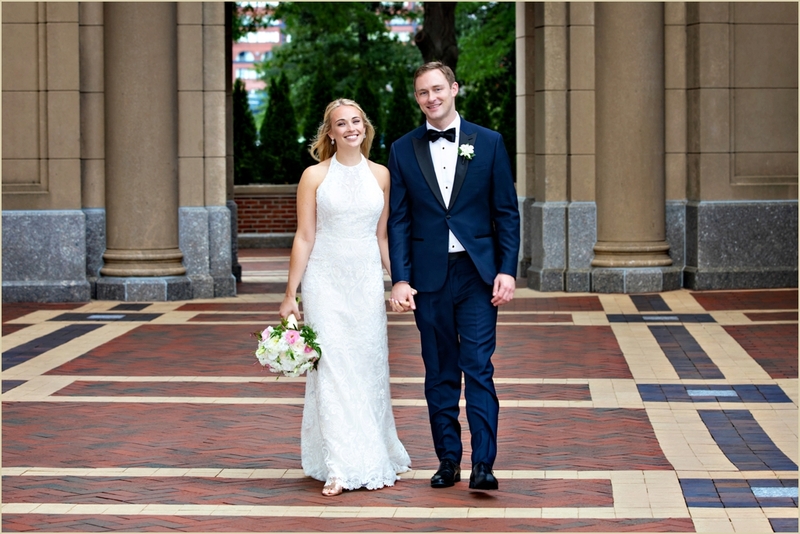 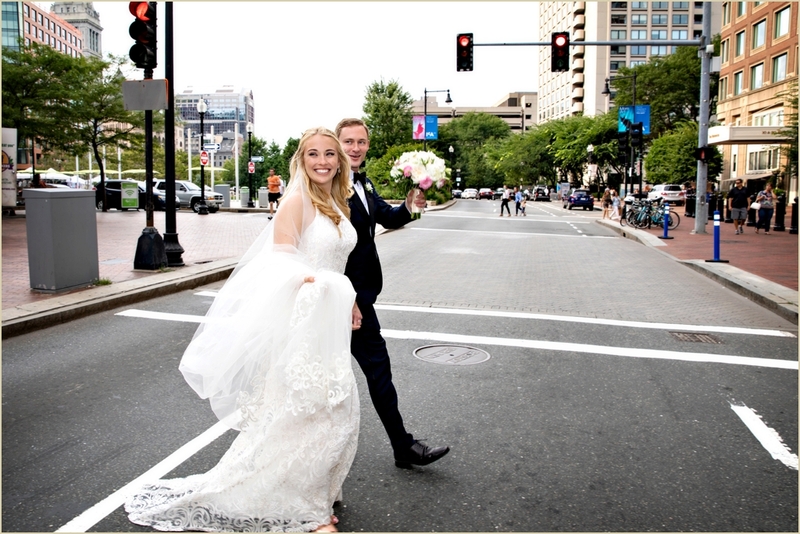 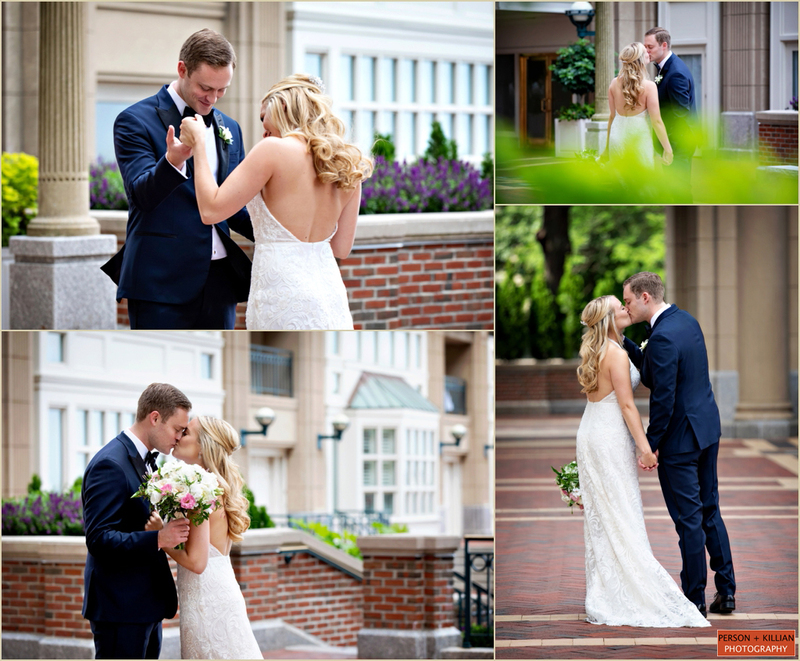 We took Courtney and Brian across the street to the Rose Kennedy Greenway for a few more formal photos outside before heading back to the Boston Harbor Hotel to begin the ceremony. 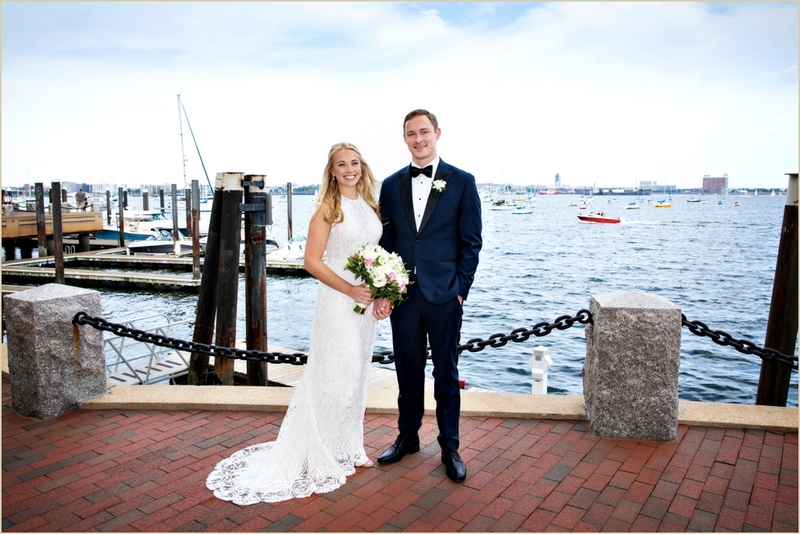 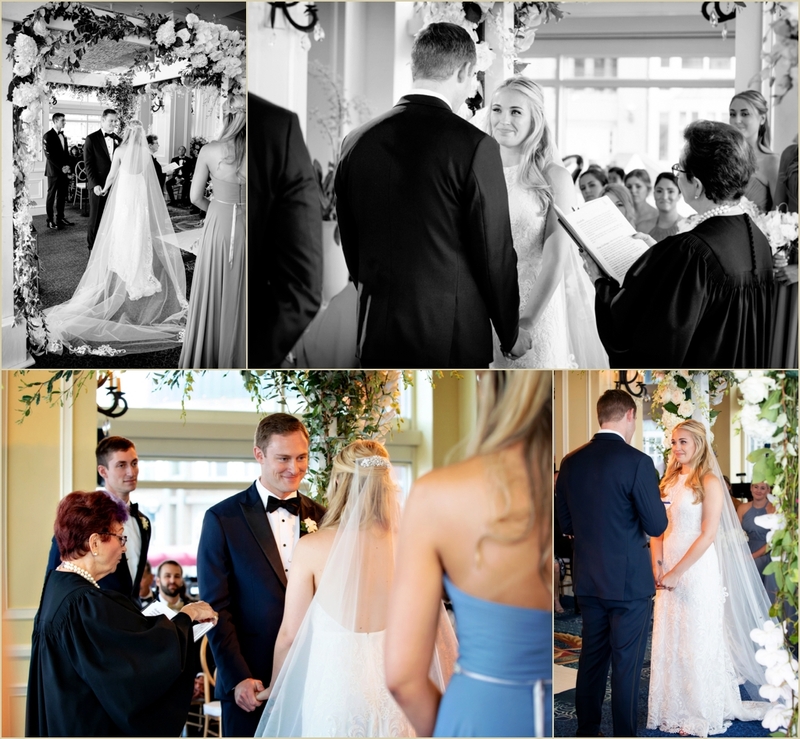 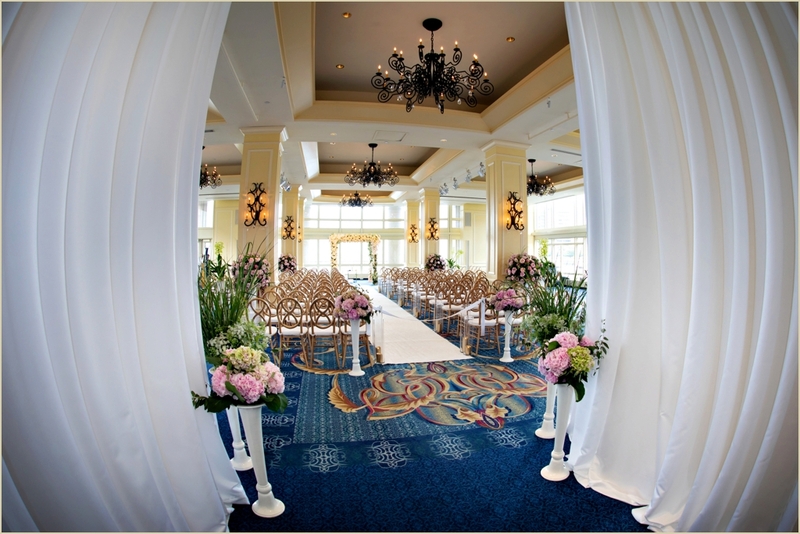 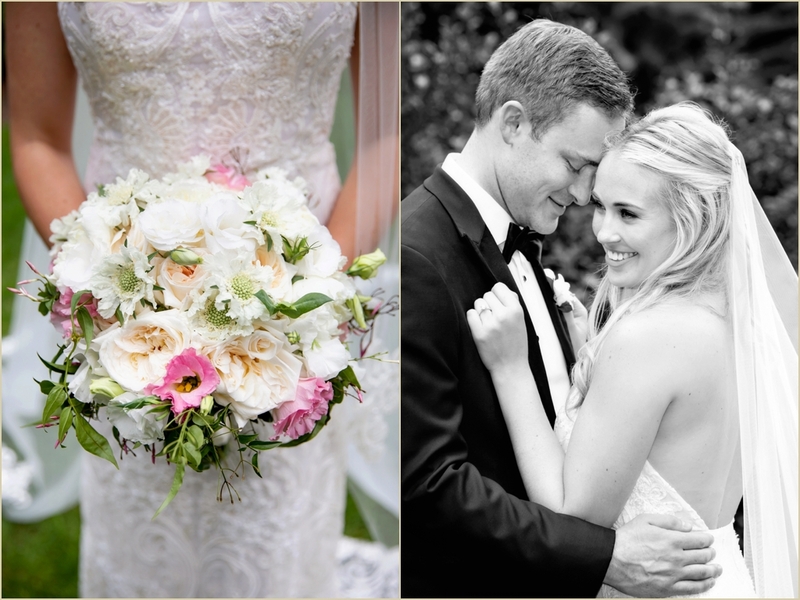 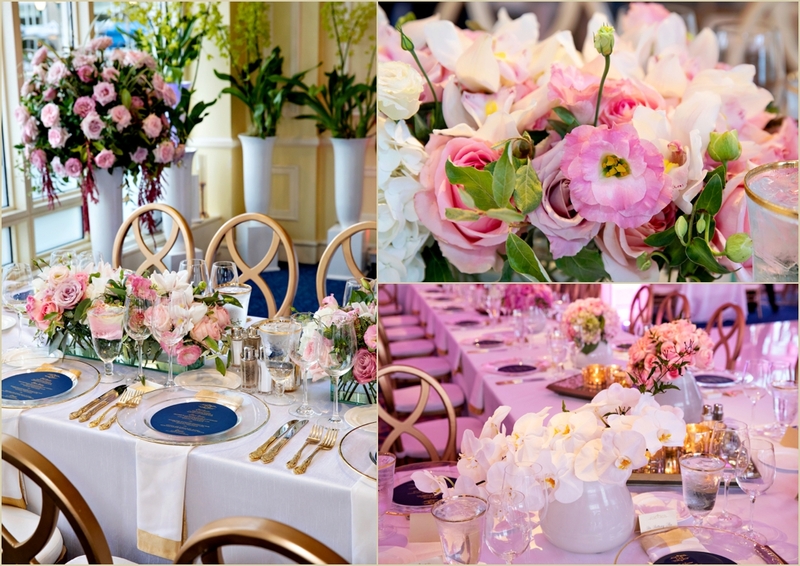 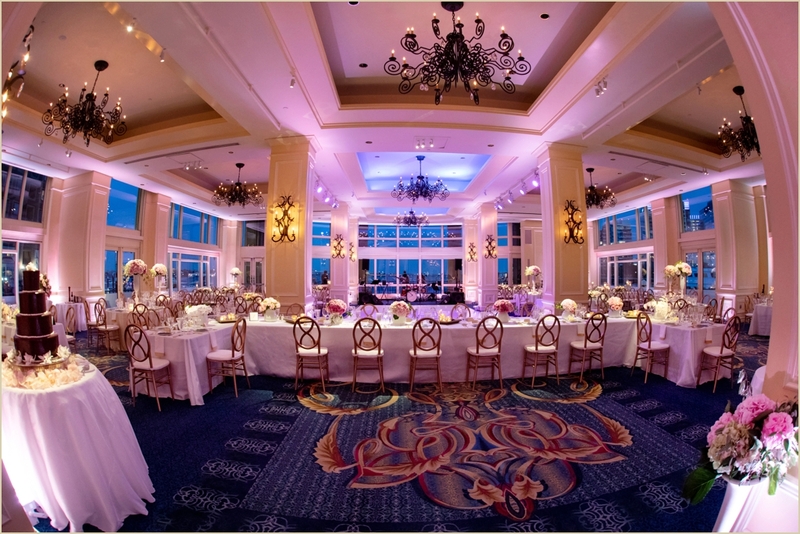 The ceremony was held in the Boston Harbor Hotel Wharf Room, which was accented with gold and white chairs, white drapes, and pink summer flowers. 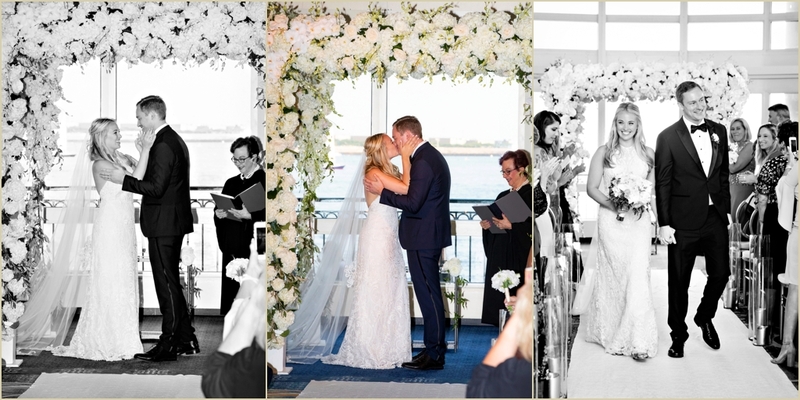 The couple incorporated a few elements of Jewish tradition into their ceremony, with a gorgeous white floral Chuppah overlooking the Harbor right outside. 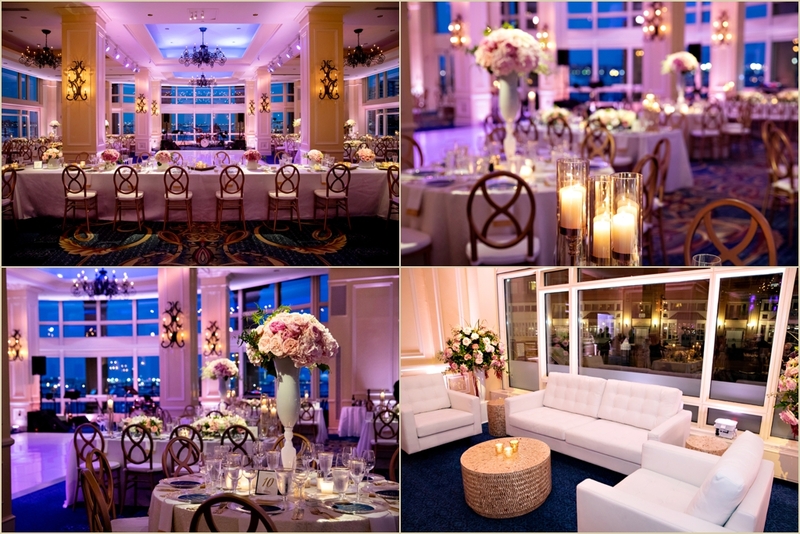 Guests moved to the Wharf Foyer for cocktails following the ceremony, while the Wharf Room was transformed for the evening reception. 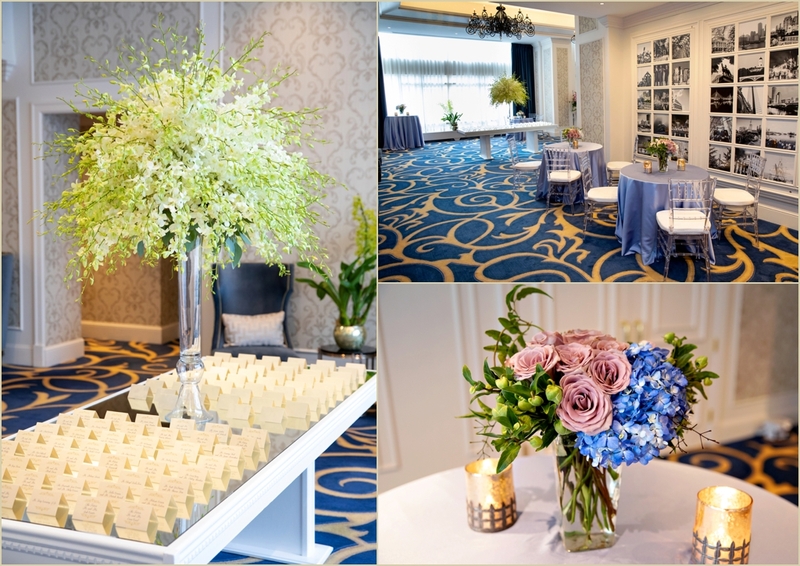 The venue’s existing blue and white color scheme was accented by white linens, navy blue menu cards and gold and soft white lounge seating. 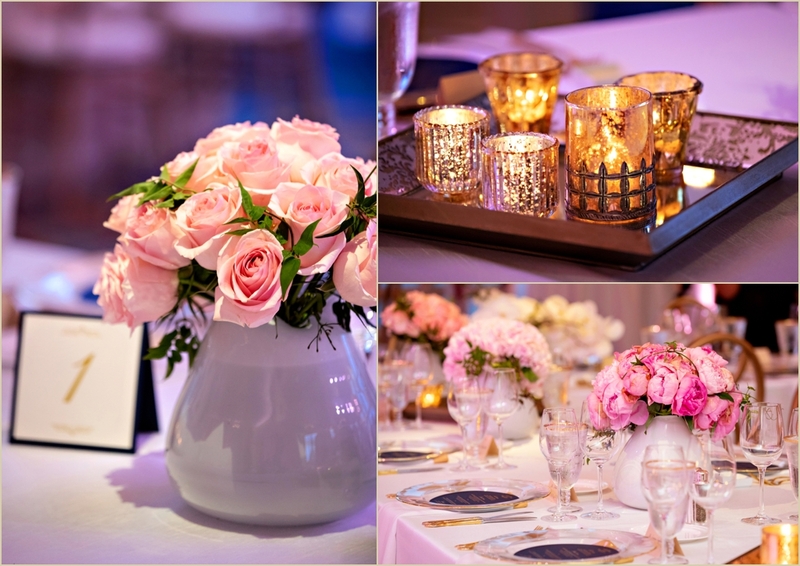 The room was lit with gentle pink uplighting and accented with bright pink summer bouquets and a few shimmers of gold for a really unique twist on a classic color palette. 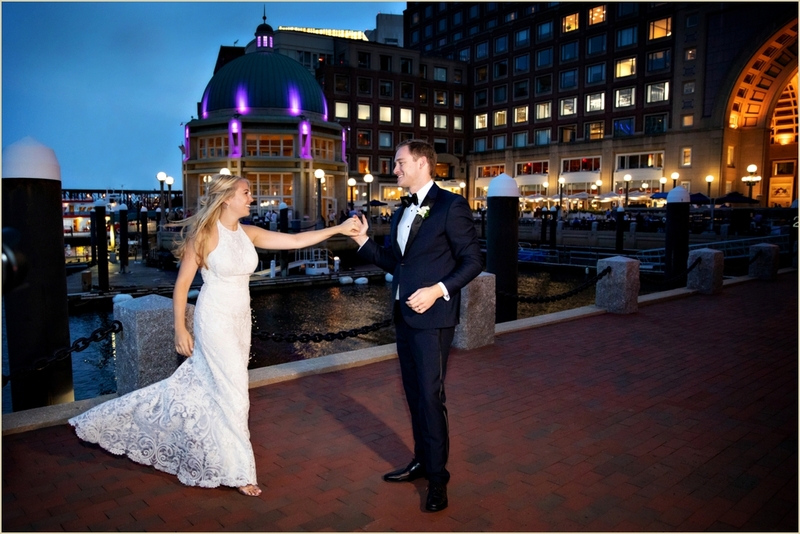 As the sun began to set we headed outside for a few more photographs of Courtney and Brian along the beautiful waterfront, then it was back into the party to celebrate all night with family and friends. 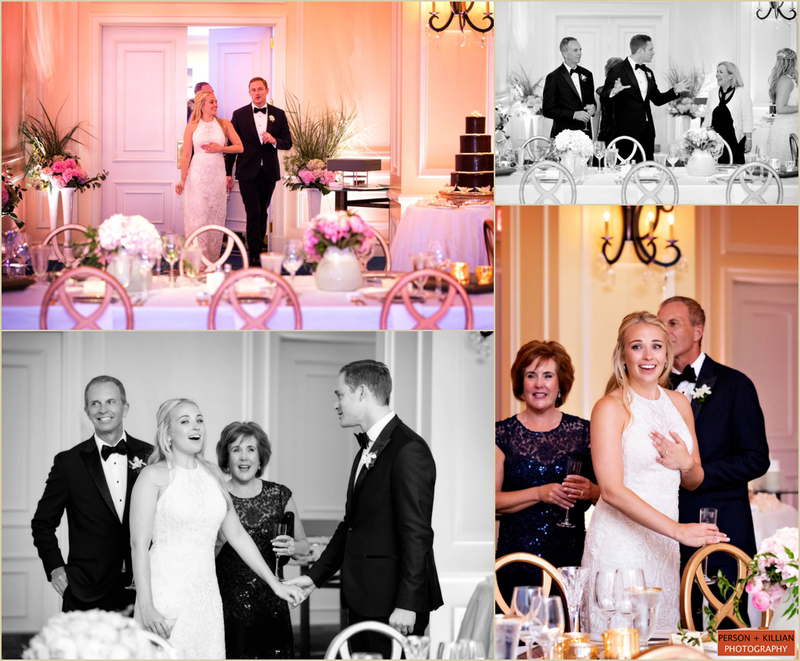 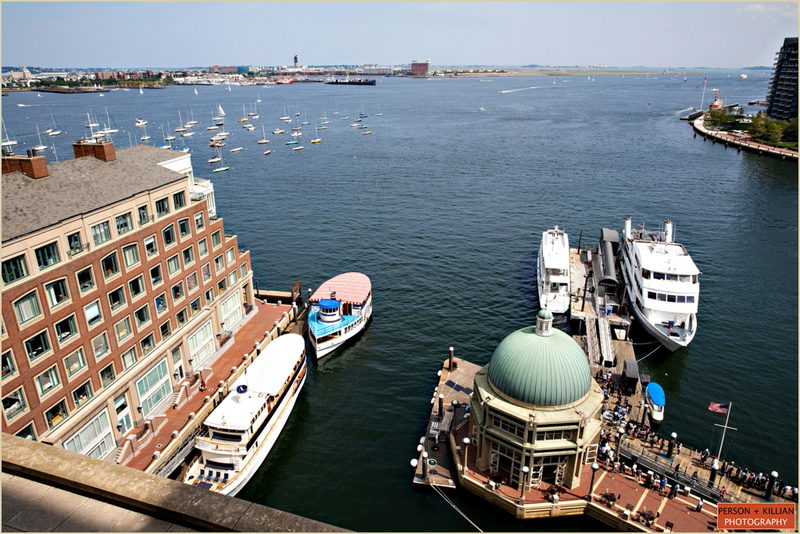 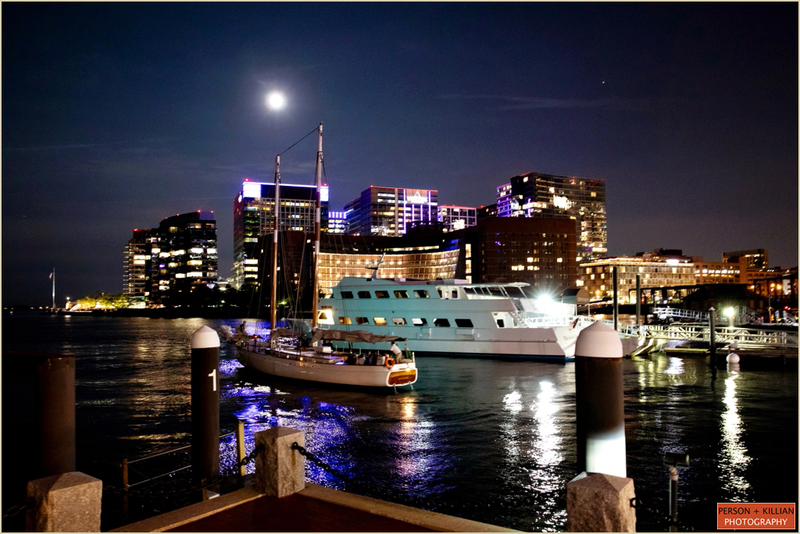 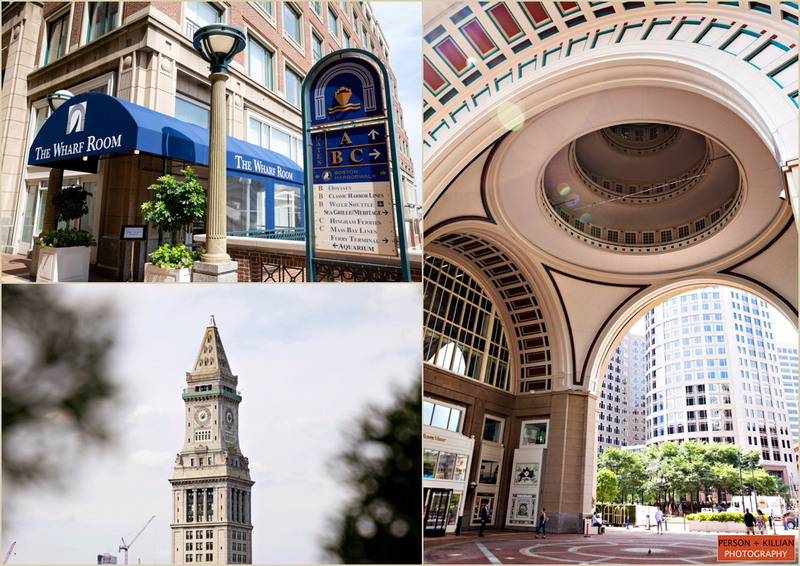 Special thanks to Jodi and her team at Jodi Raphael Events and to Ted Daniels and his wonderful team at the Boston Harbor Hotel. 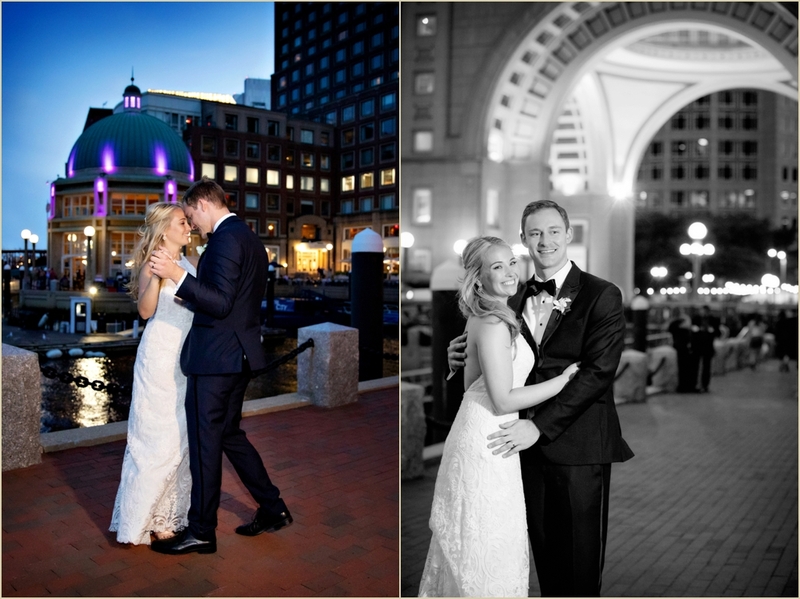 Congratulations Courtney and Brian!